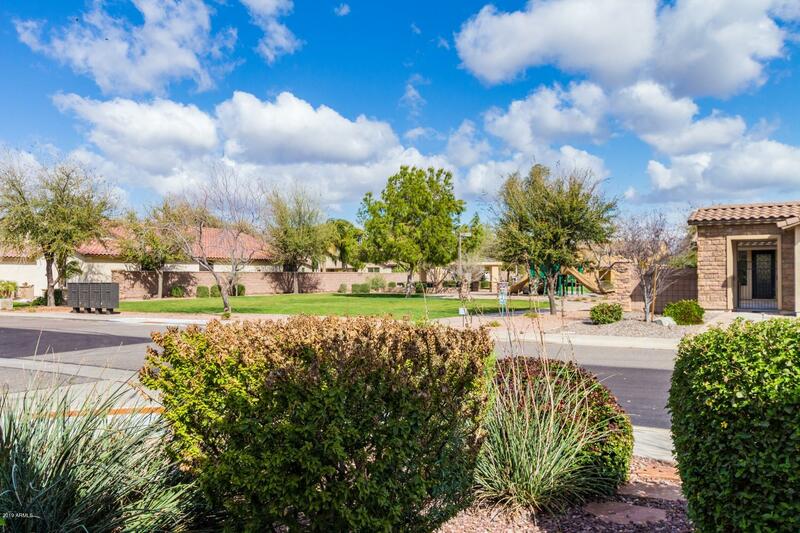 Beautiful corner lot home across from neighborhood park! 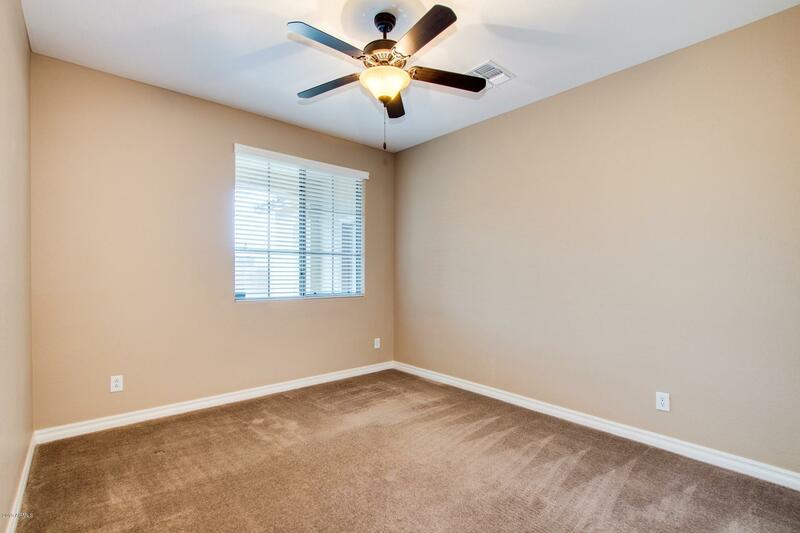 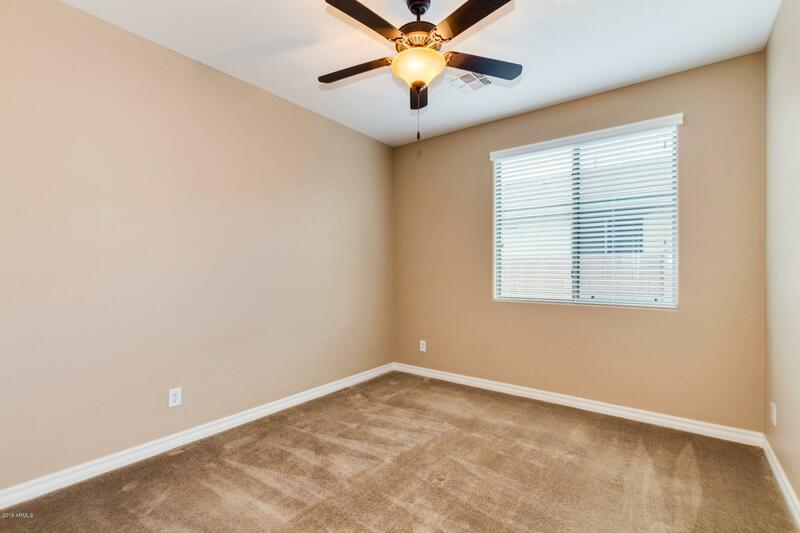 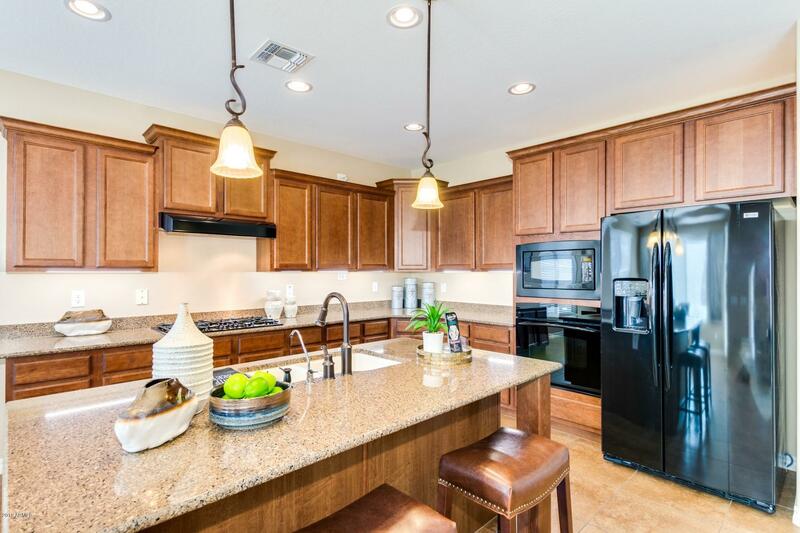 Home has GRANITE countertops, undermount sink, staggered cabinets, pendant lights, kitchen island/breakfast bar, under-mount & over cabinet lighting, gas cook top, wall oven, WALKIN pantry, 18 inch tile, carpet/paint in excellent shape, surround sound, security system, water softener, plumbed for central vac, ceiling fans! 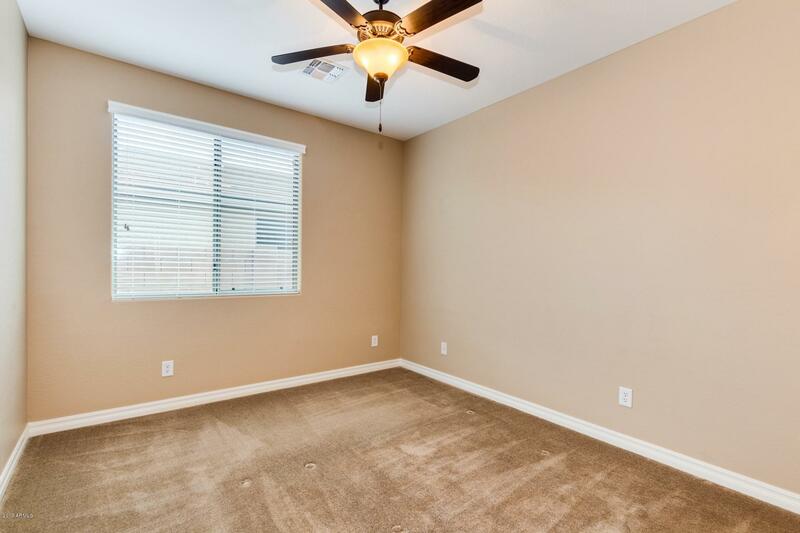 Excellent floorplan! 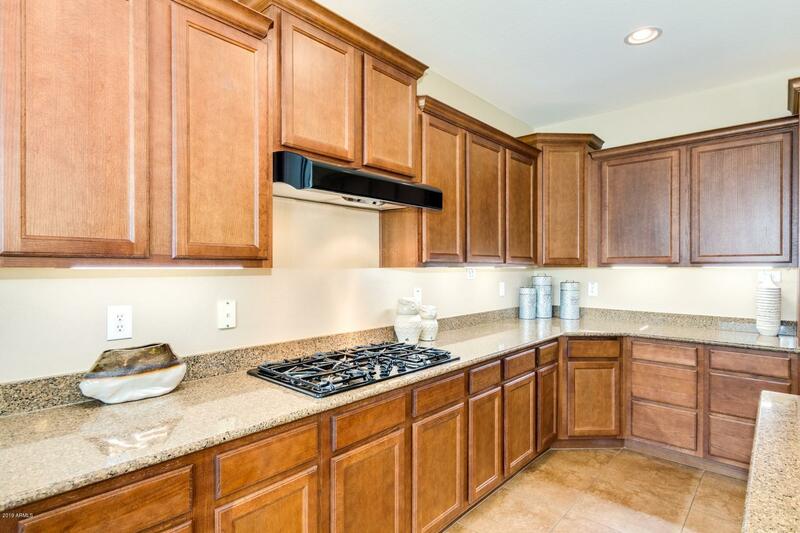 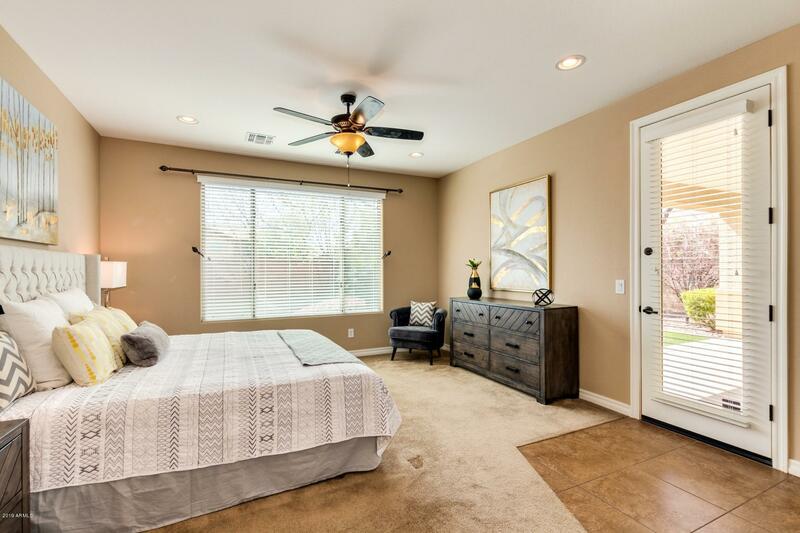 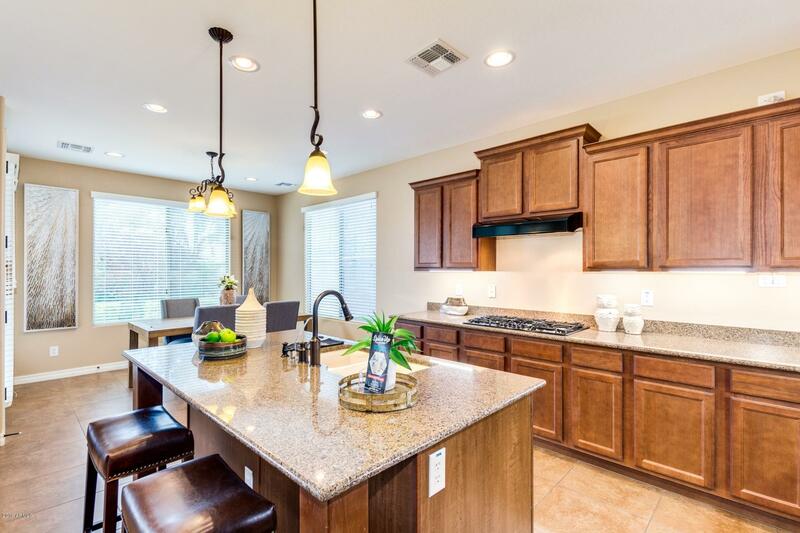 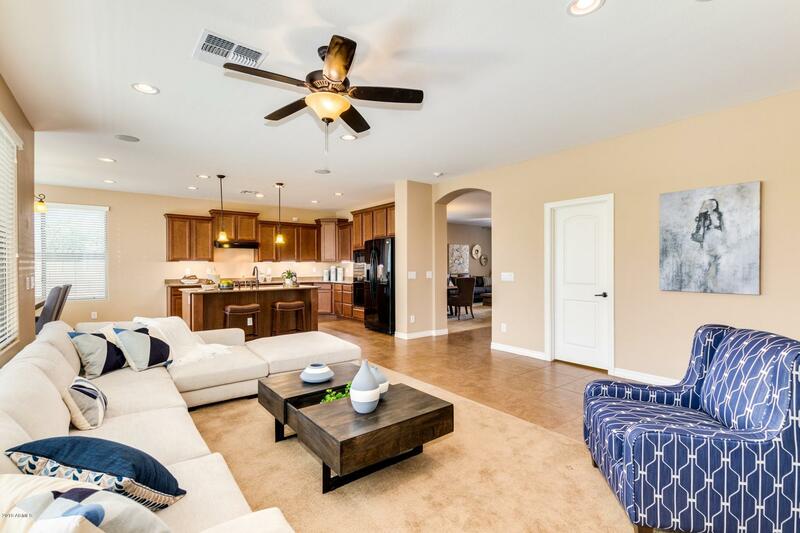 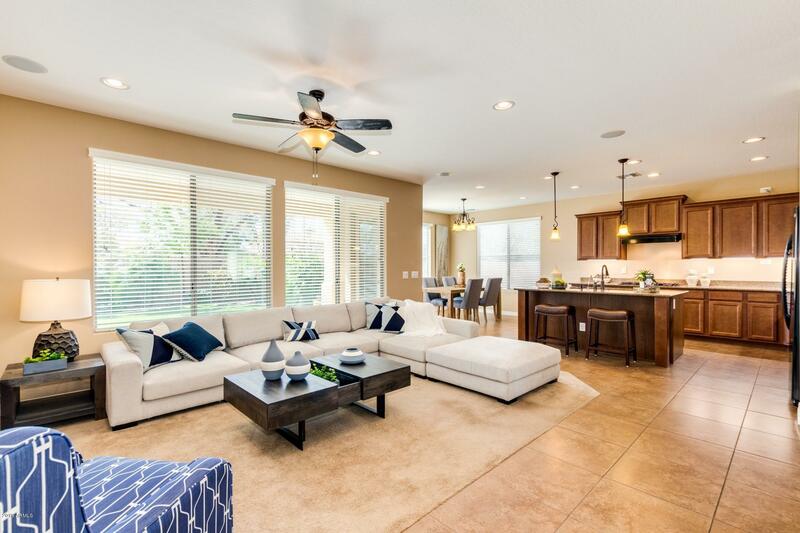 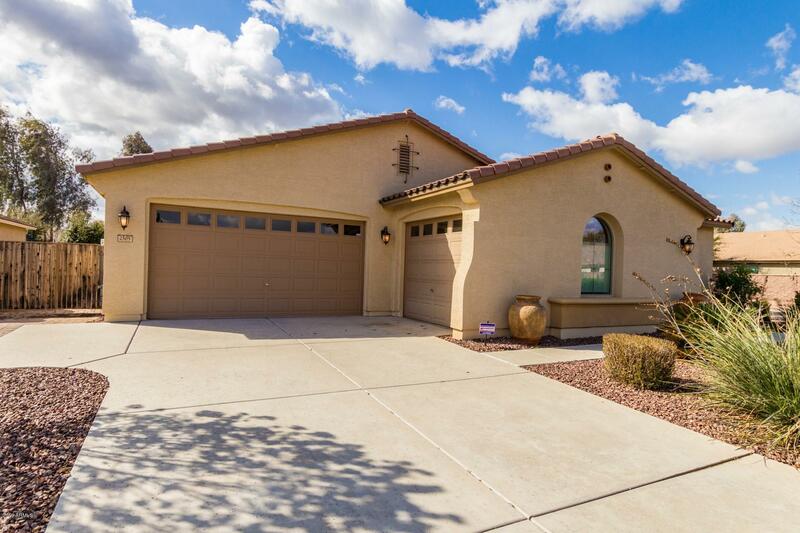 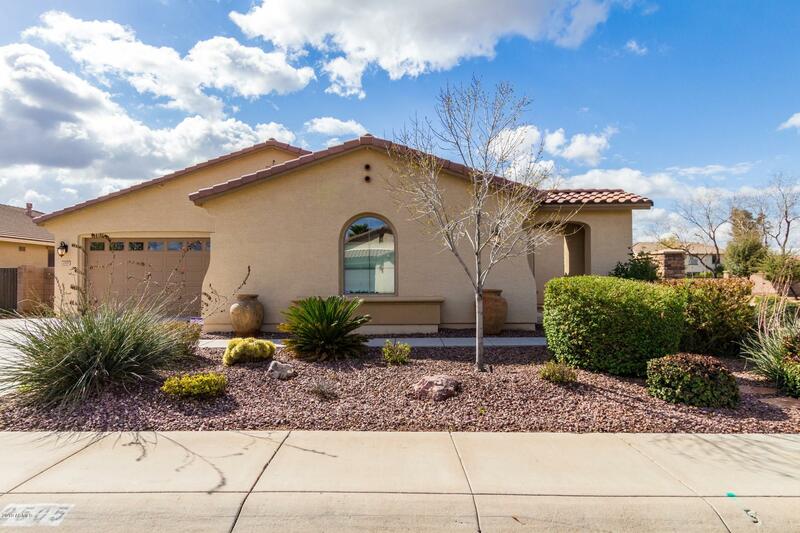 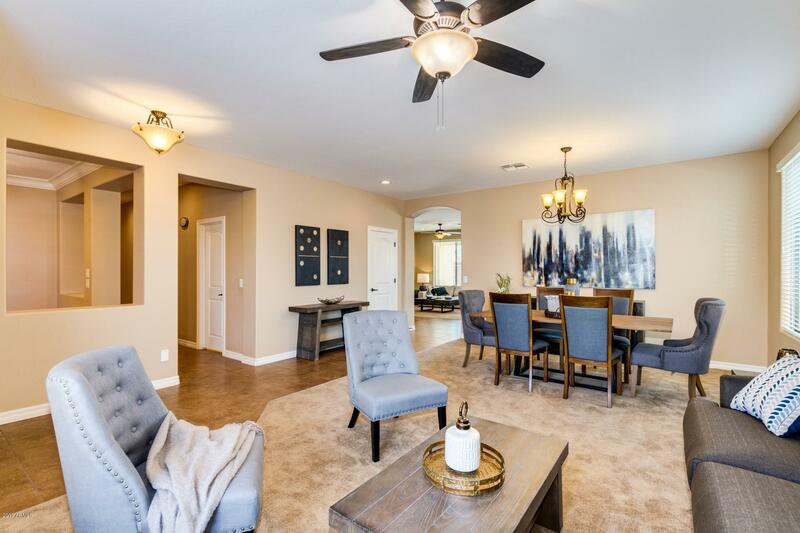 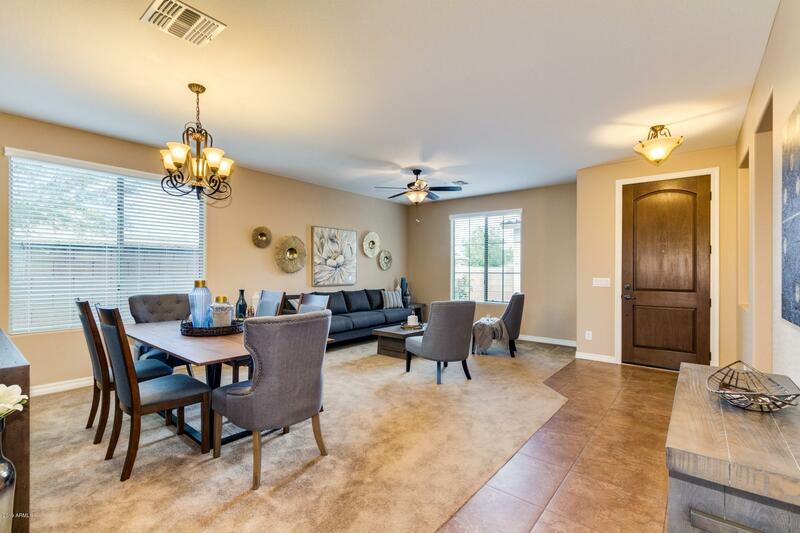 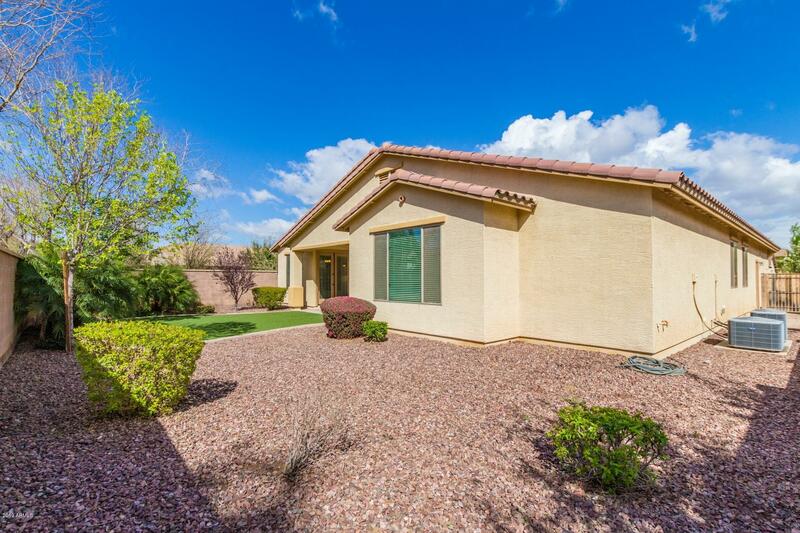 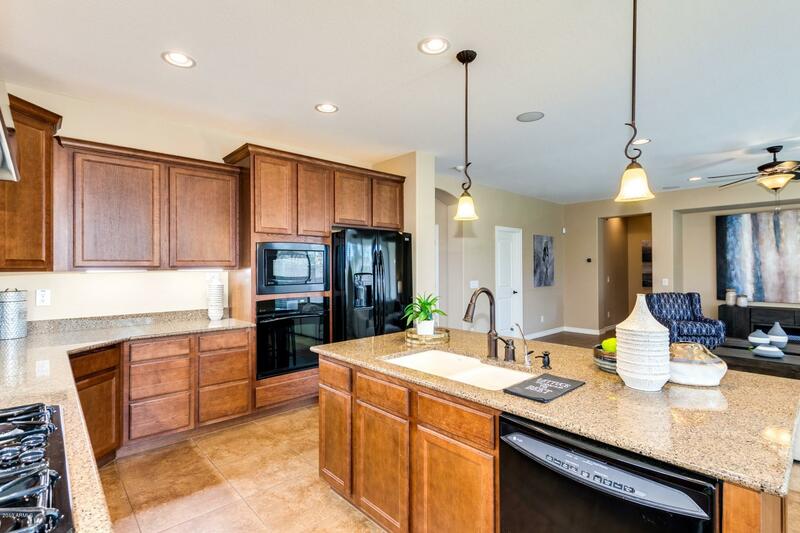 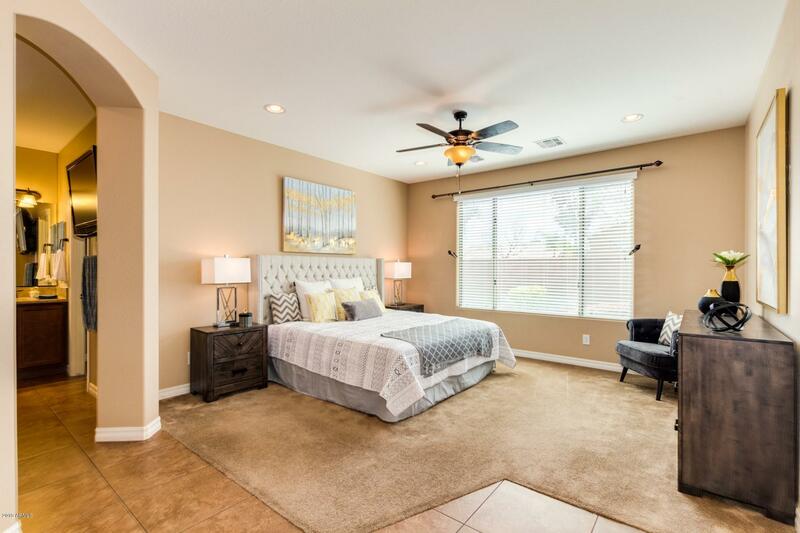 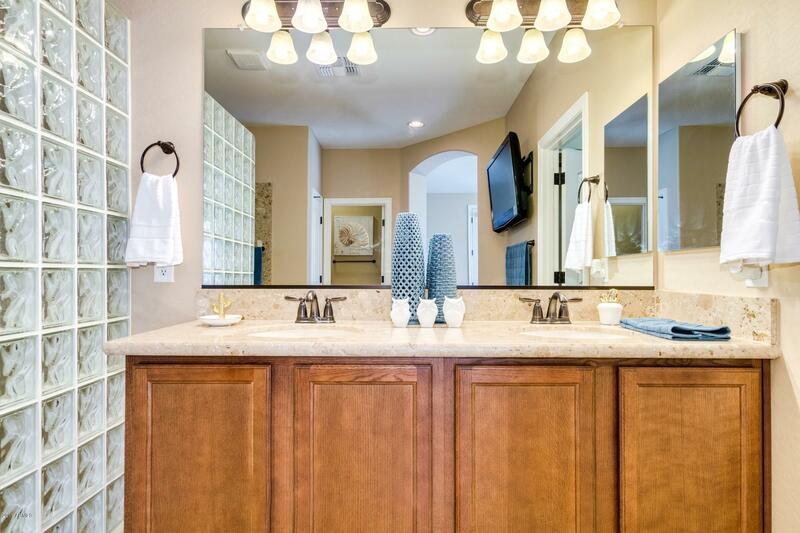 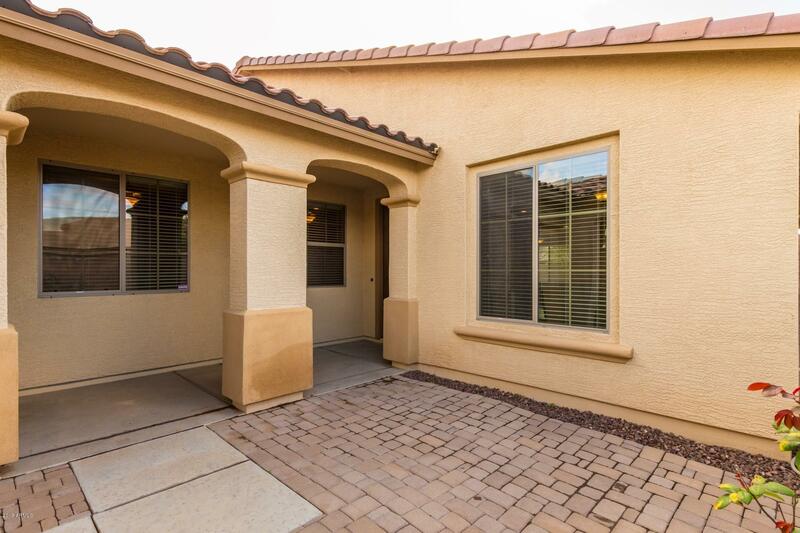 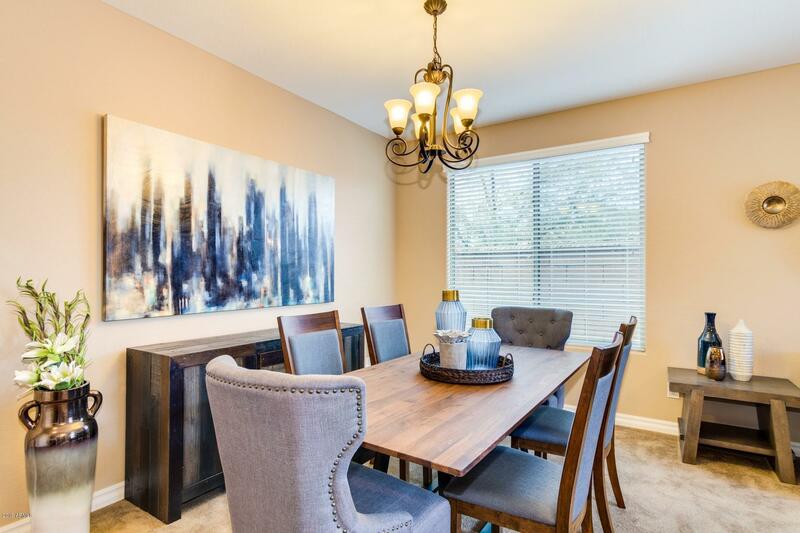 Formal living/dining, large kitchen opens to family rm, 4 beds/2.5 baths plus a den! 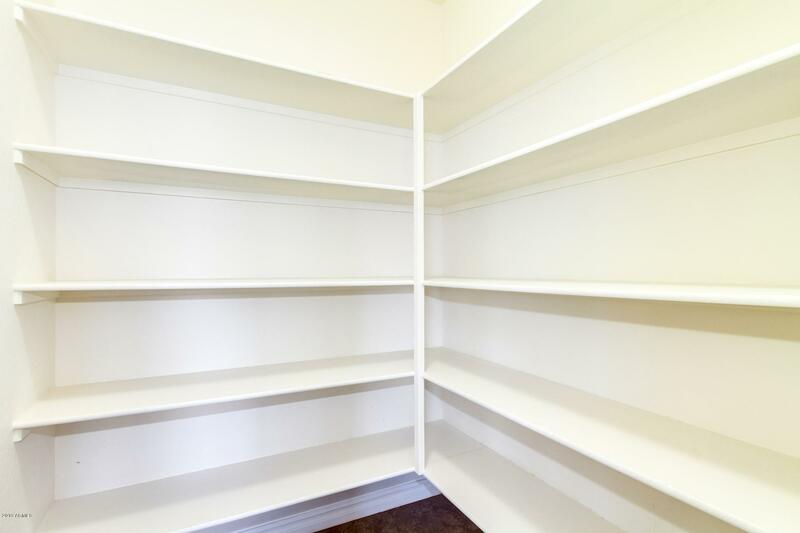 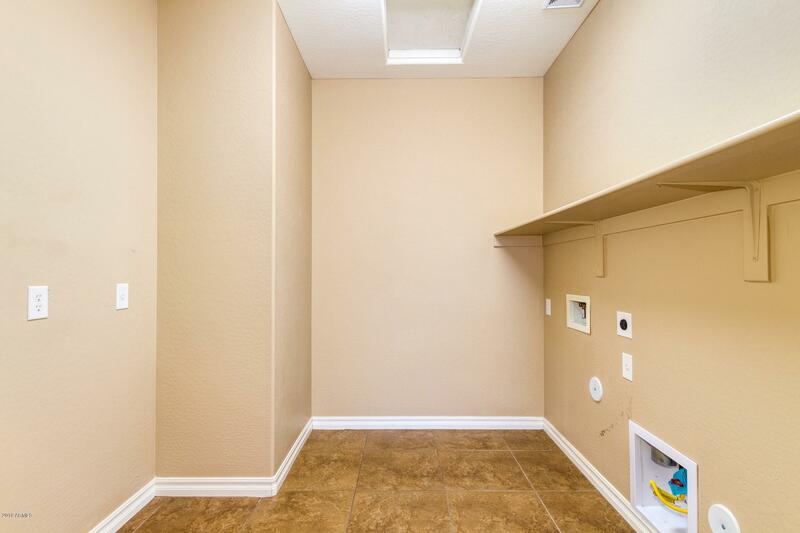 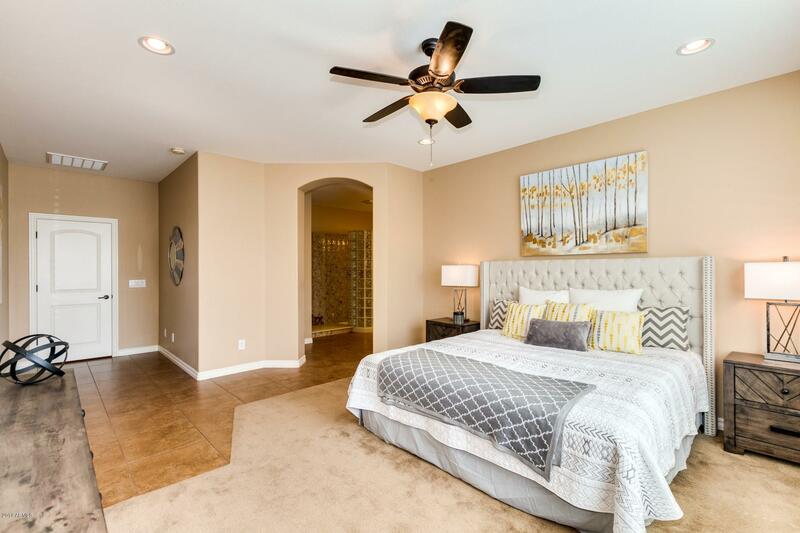 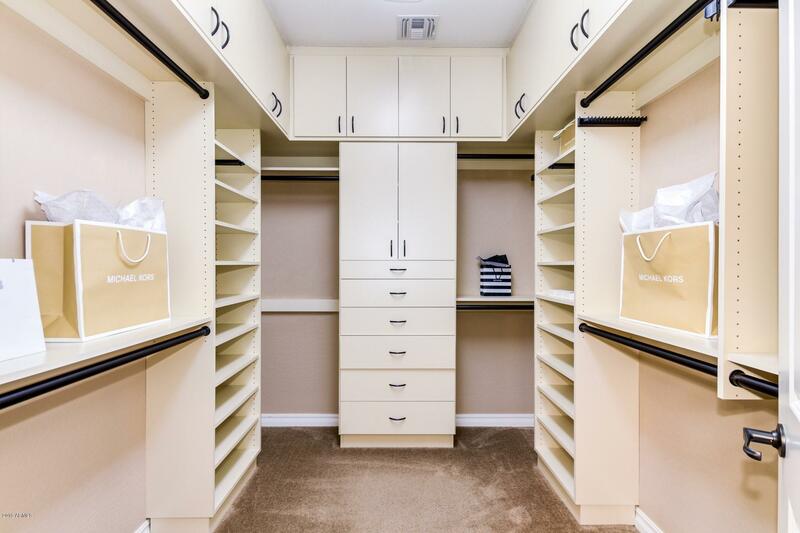 Large master w/ incredible custom classy closets! 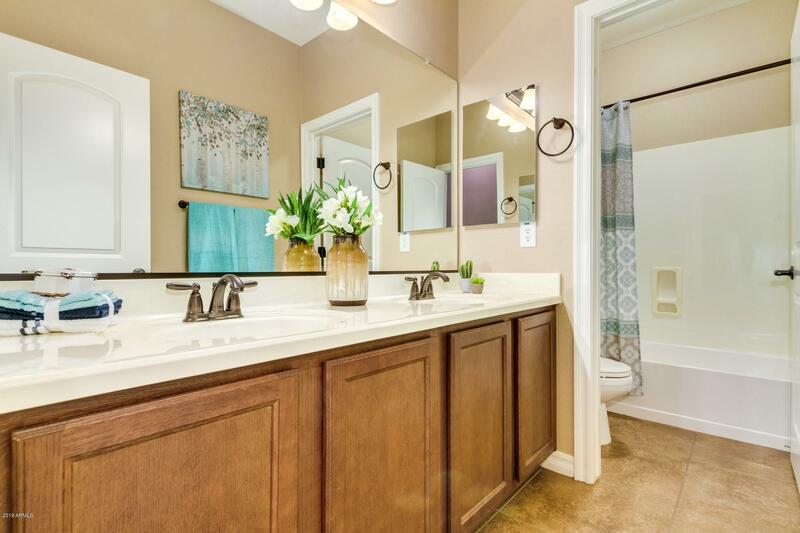 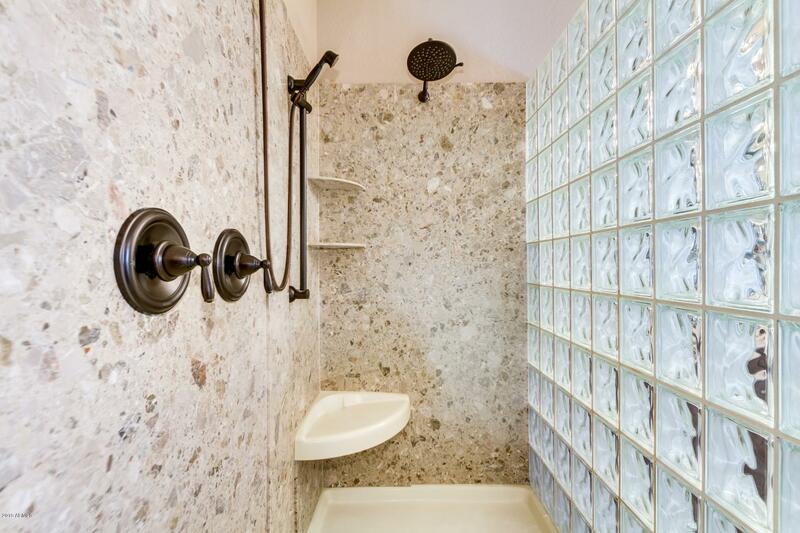 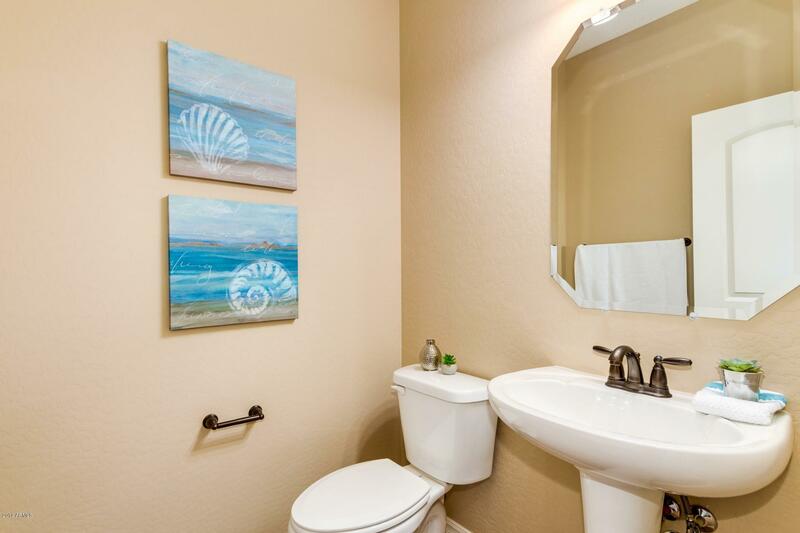 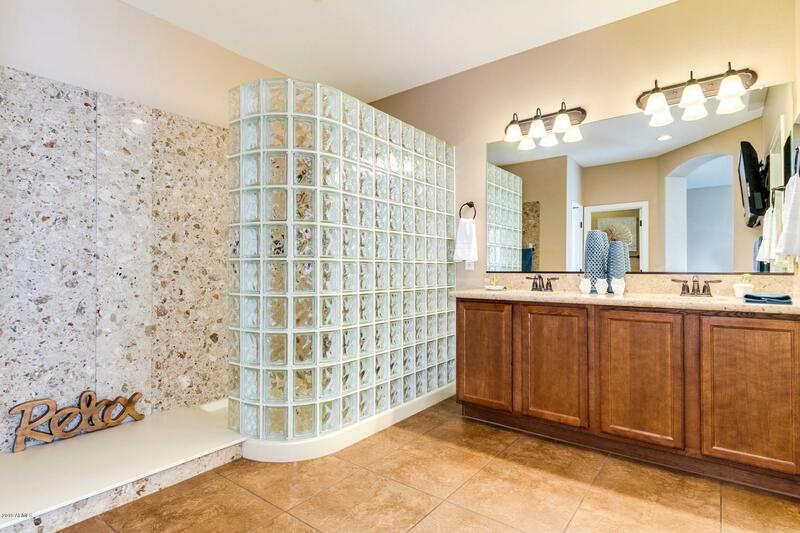 Master bath has raised vanity, double sinks & large snail shower. 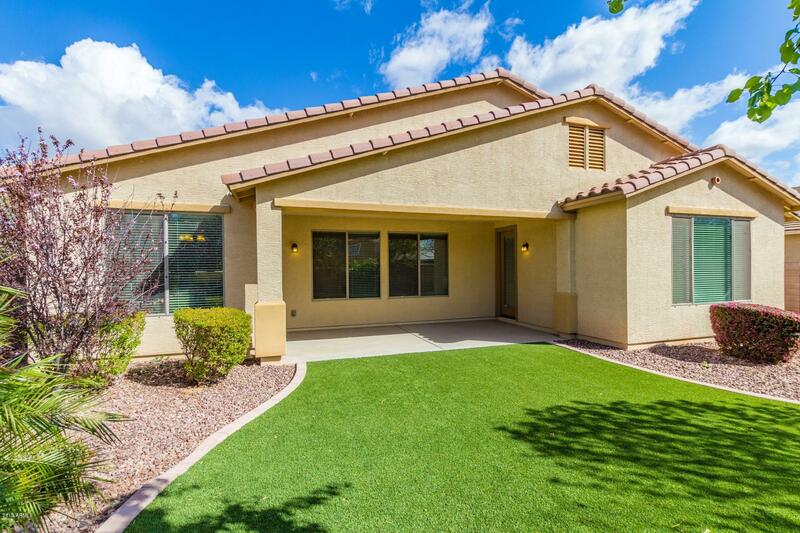 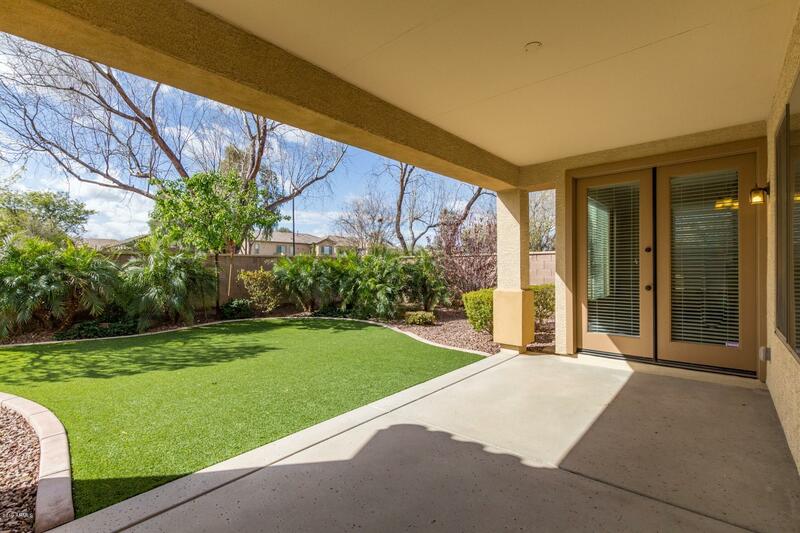 Gorgeously landscaped yard w/ beautiful trees/plants & artificial turf! 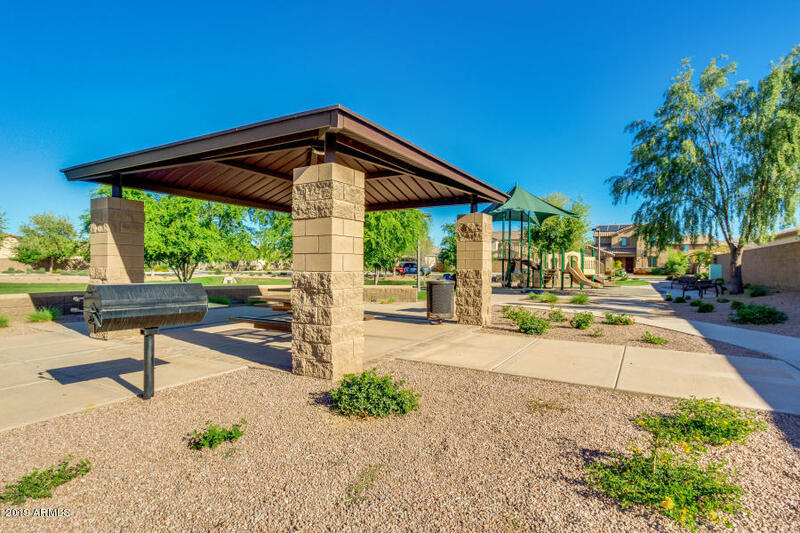 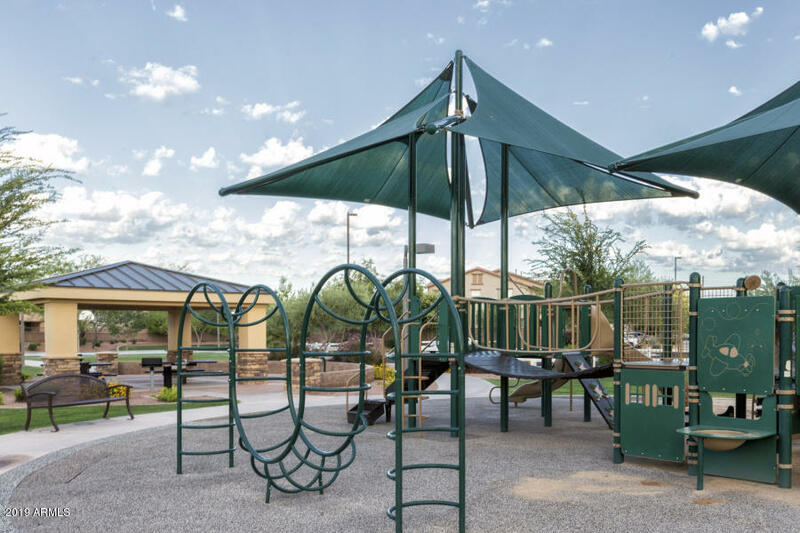 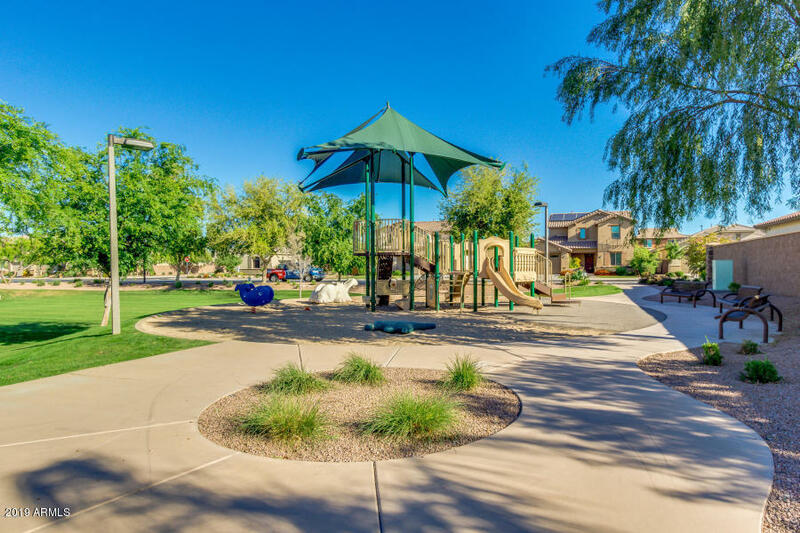 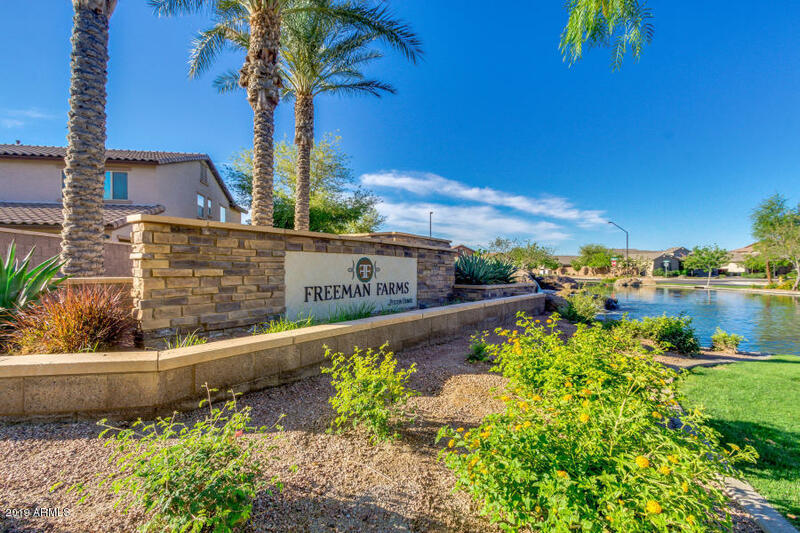 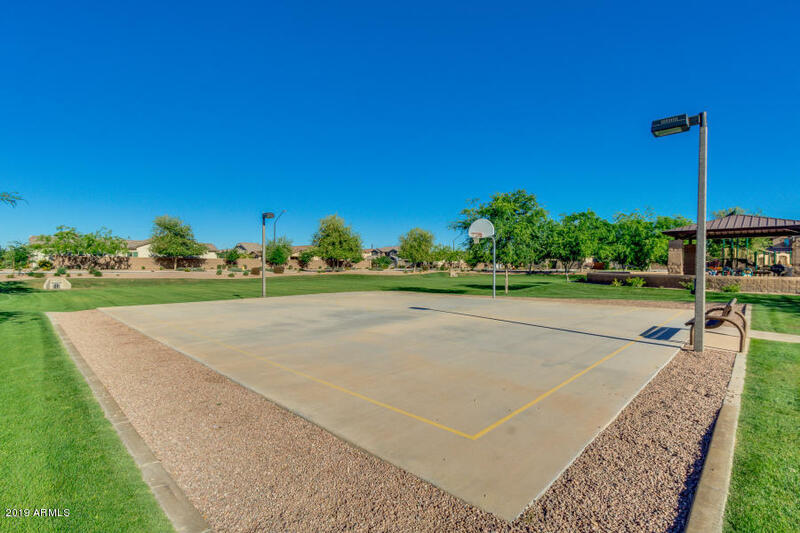 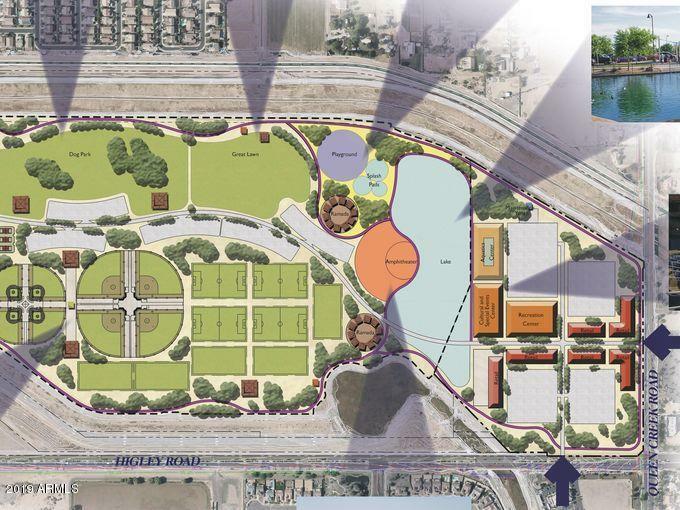 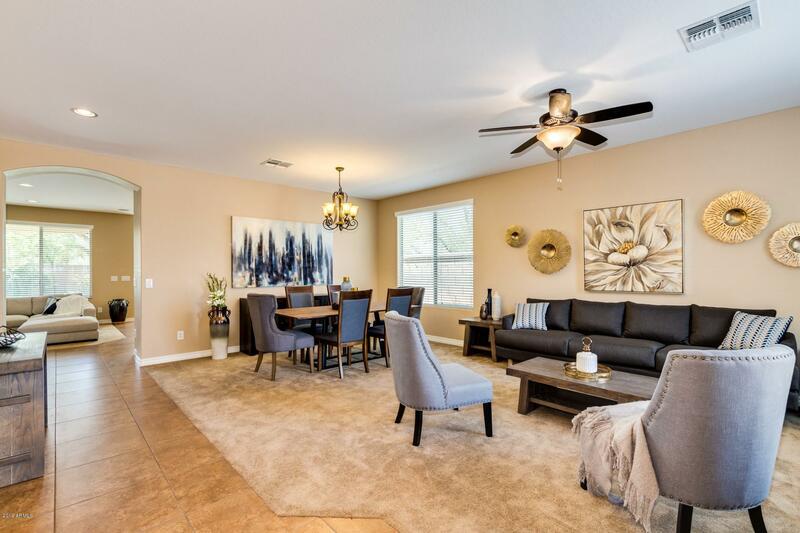 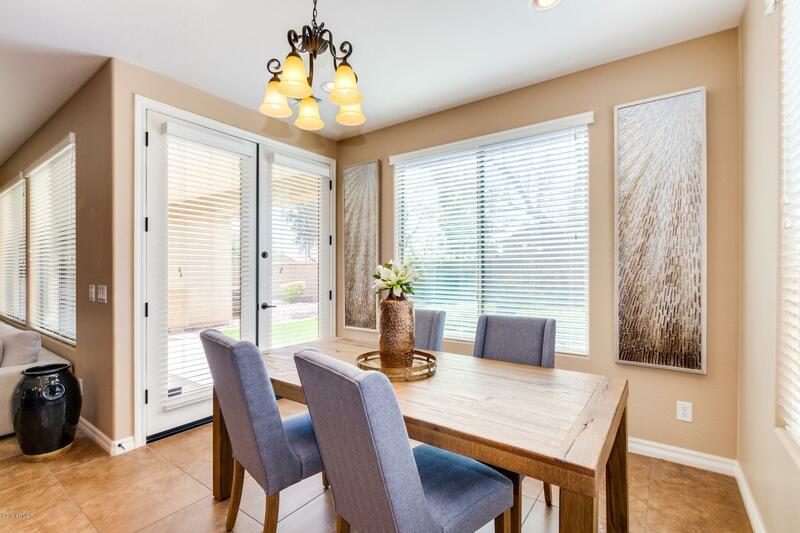 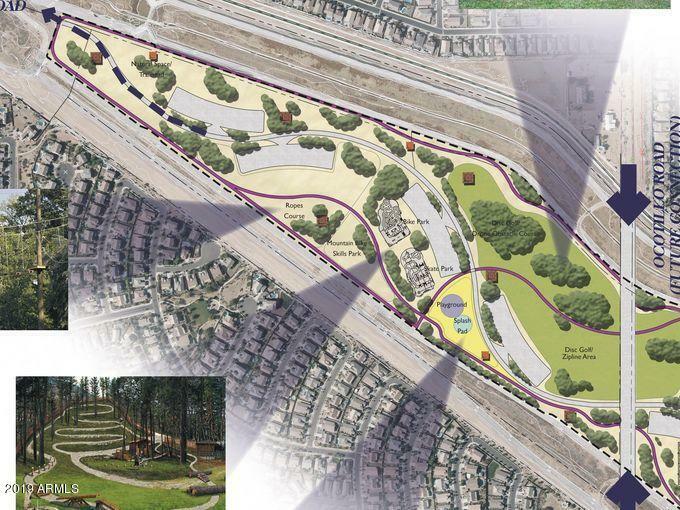 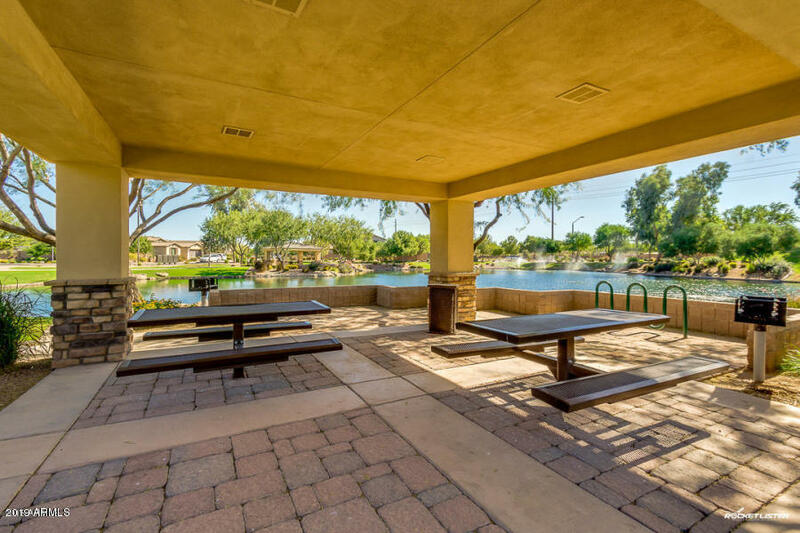 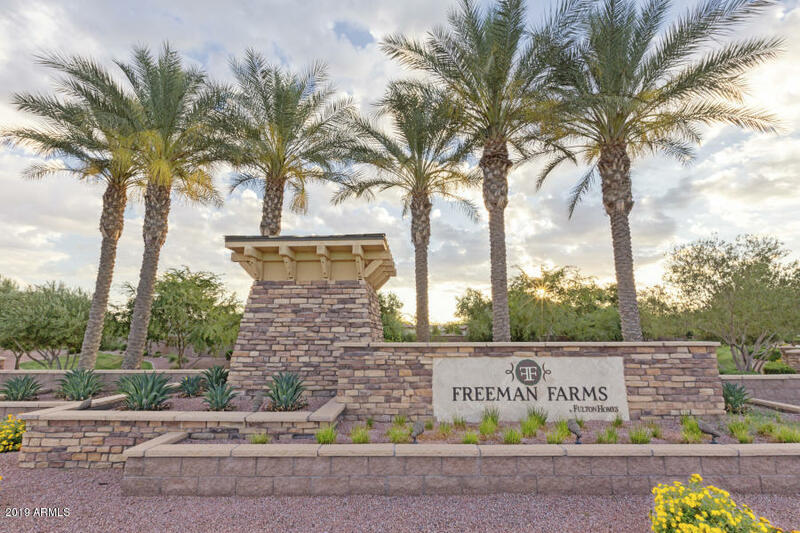 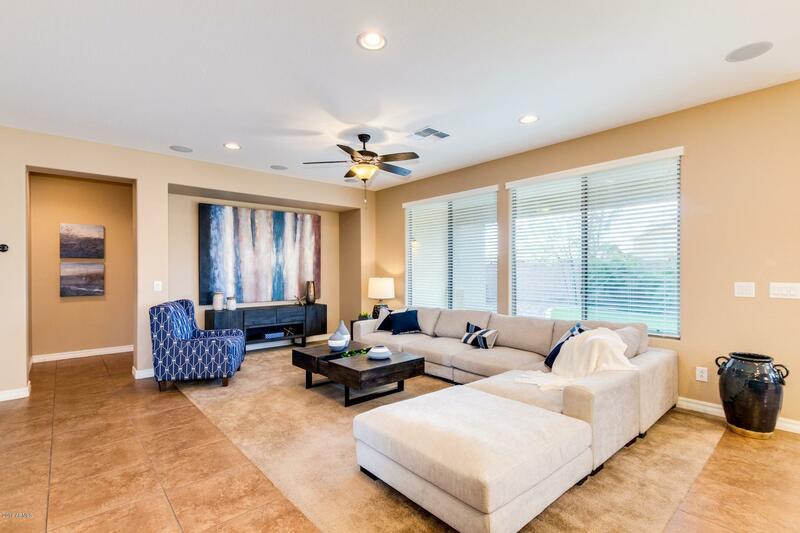 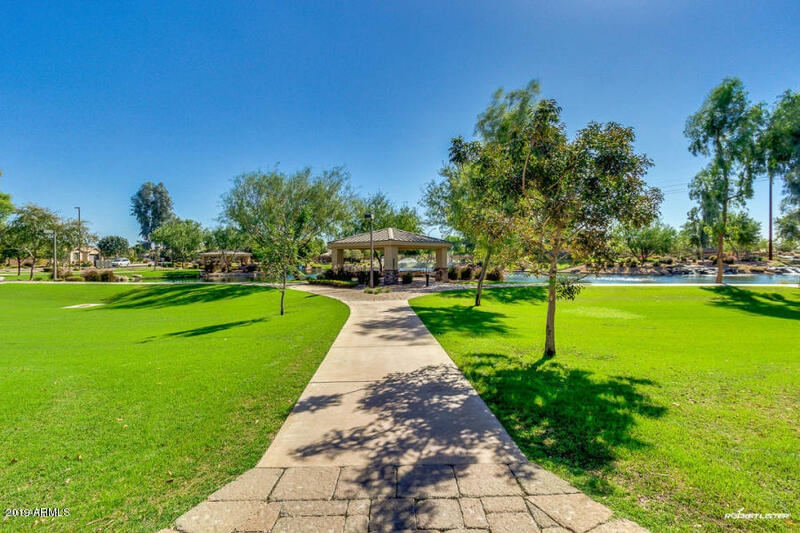 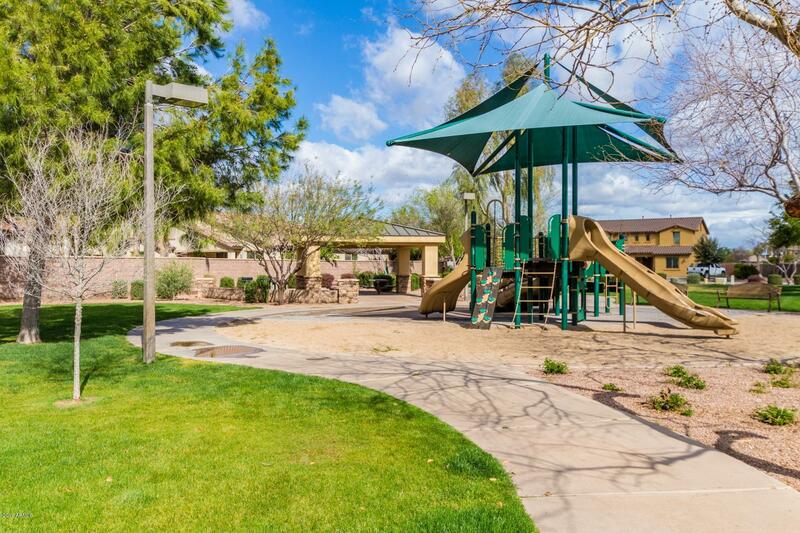 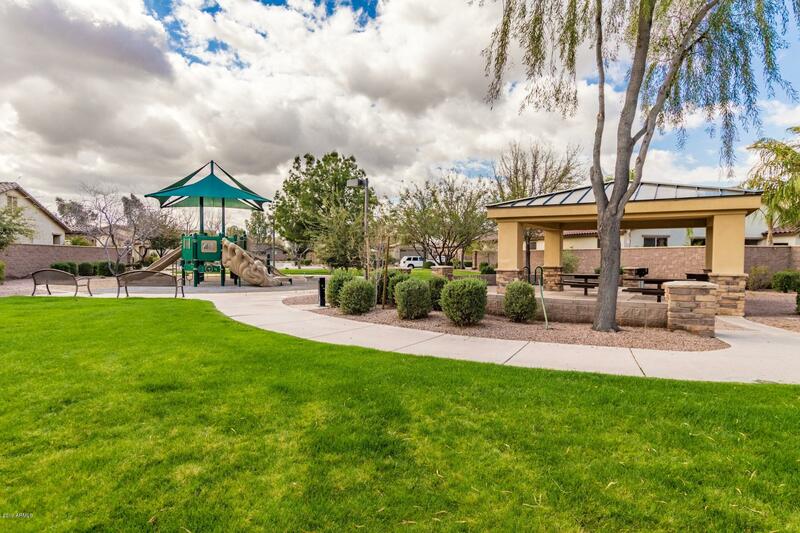 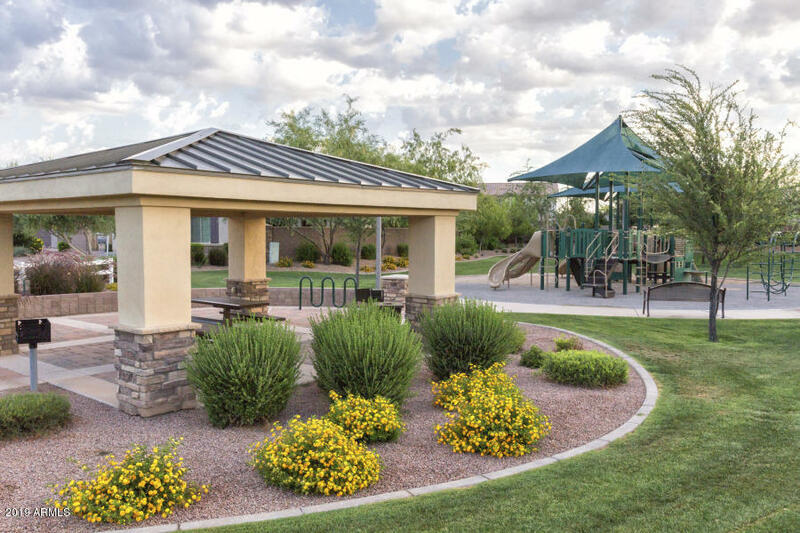 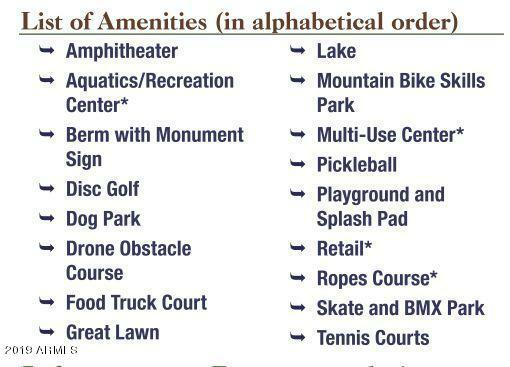 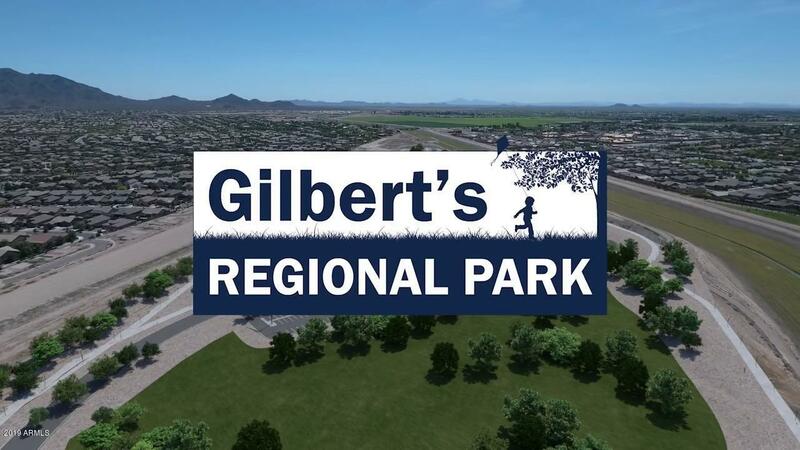 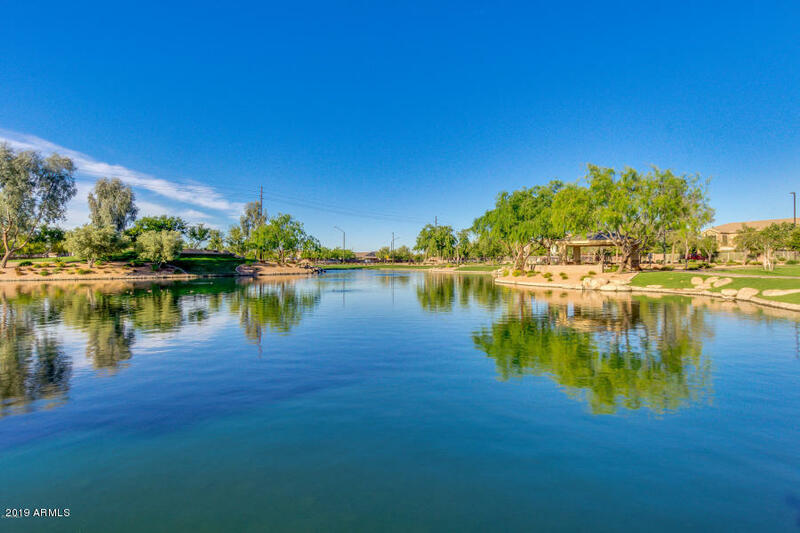 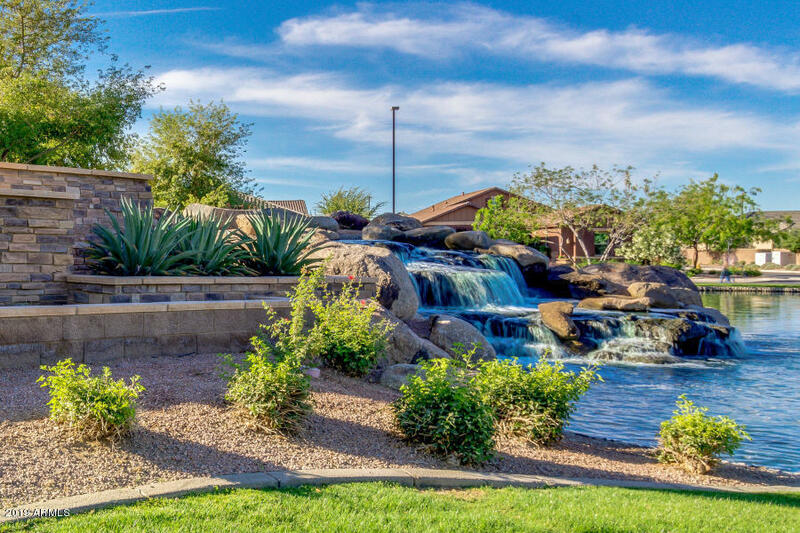 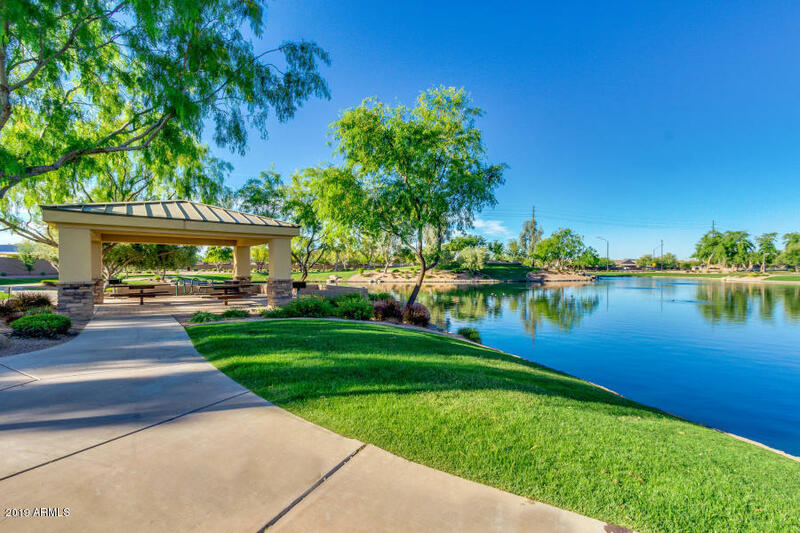 Incredible location near 202 freeway, San Tan Mall & walking distance to planned $100 million Gilbert Regional Park!